If you really want to get back to the wilderness this year, there’s no place like Alaska in which to do it. This state is one of the largest in the nation, and yet has the smallest population. Don’t let rumors of the frigid cold, deter you, though, because Alaska is full of immeasurable beauty at every twist and turn. If you want an experience in nature you’ll never forget, visit an Alaskan state park for a truly wild and unforgettable vacation. Before you book a trip, though, check out each place online and look at the webcams they all offer to get a glimpse into the Alaskan terrain and wilderness. While Kodiak is an island in Alaska, and not necessarily a state park, it is made up of six state parks, so you really can’t go anywhere on the island without being in an area that is protected and uninhabited- by humans, at least! Kodiak shares its name with one very well-known animal- the Kodiak bear- because that animal is known to populate the island. If you want to see bears, a state park located on Kodiak is where to go. You have half a dozen to choose from! 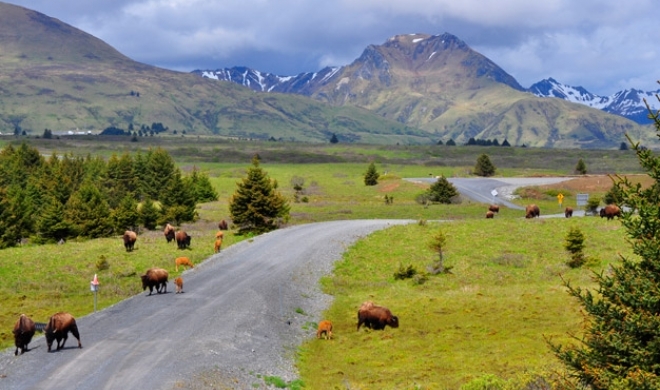 Ft. Abercrombie State Historical Park, Buskin River State Recreation Site, and Pasagshak River State Recreation Site are on the Kodiak road system, so they are easier to get to and generally have more tourists. Shuyak Island State Park, Afognak Island State Park, and Woody Island State Recreation Site are accessible by boat or float plane, which make them more expensive to visit, but the experience is like no other! There won’t be many people around, but you’re sure to see lots of wildlife and feel truly secluded in nature. Chugach State Park in South-central Alaska boasts of almost 495,000 acres of land and is one of the largest state parks in the United States. Mostly located within the Municipality of Anchorage, this park is bordered on the north and west by the Alaska Range, and on the east by the Chugach and Wrangell Mountains and Prince William Sound. Other than its beauty in scenery, it also boasts very diverse wildlife, so if you’re looking for some sight-seeing, this is the park for you! The region contains ocean shoreline, lakes, massive glaciers and ice fields. If you’ve ever wanted to visit Anchorage, it’s less than 10 miles from Chugach State Park. It is truly an experience to be had! 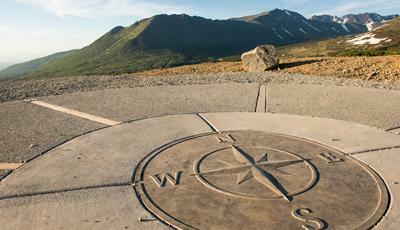 Chugach State Park is located at 18620 Seward Highway, Anchorage, Alaska 99516. You can get more information about the park by calling the office at 907-345-5014. The largest and most remote state park in the nation is by far Wood-Tikchik State Park, which sits on an impressive 1.6 million acres. This one park encompasses nearly half of the State Park land in Alaska and 15 percent of all state park land in the United States. If that doesn’t impress you enough to want to see it, maybe this will: Wood-Tikchik State Park was created to protect the area’s fish and wildlife breeding and the land is traditionally used for fishing, hunting and gathering by Natives. The management philosophy of this park is one of non-development and protection of the area’s wilderness character, which means that the park facilities are rustic and rare, so it is definitely not a luxurious place to camp, but rather one perfectly suited for actually getting back to nature. There may not be any actual gold left, but you will strike gold (figuratively speaking) when you visit Independence Mine State Park. Alaska was populated when gold was found there and hundreds flocked to the area to become rich, and gold was discovered just southeast of Anchorage in 1886 before the real rush began. Robert Lee Hatcher discovered the first gold in Willow Creek Valley in September 1906, and others quickly followed, helping to create what is now known as Independence Mine In 1943, Independence Mine closed because of World War II, but in 1946 It reopened. Gold mining didn’t recover quickly, though. The mine closed for good in 1951, after mining nearly 6 million dollars’ worth of gold throughout its lifetime. On January 16, 1980, State of Alaska took over the acreage and turned it into a state park. The old houses and mines still stand, and there is lots of history to be found in this park. 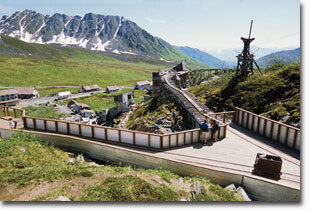 Get back to the basics and learn a lot about Alaskan history in one trip by visiting the Independence Mine State Park. Chena River State Recreation Area is known as “a park for all seasons” because of all that it offers. Whether you’re interested in hiking and rock-climbing, dog-sledding in the snowy mountains, or riding ATVs in the forest, this park can make it happen for you. It is very small compared to other Alaskan state parks, but it sits on 397 square miles of forests, rivers, and tundra. Each year, more than 150,000 people visit the Chena River State Recreation Area to see what it can offer for them. Here you can camp at one of three developed campgrounds or find an undeveloped area off by yourself. 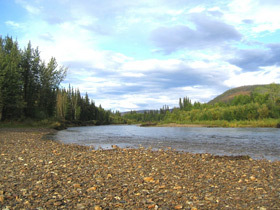 The Chena River flows around and through the park. This river is perfect fishing, for kayaking, or canoeing. The river is catch and release only, but fish caught in the ponds can be kept. If you visit in the winter months, you can see two major dog sled races, which use portions of the Chena Hot Springs Winter Trail to complete the race route. If you want to see wildlife, this is the place for you! Moose are often seen in the campgrounds and beavers have made their homes in the ponds. Black and grizzly bears also inhabit the area, but rarely come close to campers and hikers. Alaska is on my bucket list! Have you ever considered visiting Alaska? I’m not into camping and hiking, but this place sure looks spectacular. Tee hee! Very little is not on my bucket list!!!! I’m seriously considering categorizing my buckets these days. OOOOhhhhh, such a big world. Thanks for this review. My husband spent time in Alaska when his parents were in the military. He recalls how beautiful it was. I’d love to do an Alaskan cruise too. I would love to visit Alaska! It looks so beautiful! I always picture Alaska as being frozen over, even though I hear it can be a great summer vacation spot! These pictures are gorgeous and I really want to look into taking a trip here now! We went to Alaska several years ago and it is BEAUTIFUL! I was born and raised in Oregon, which isn’t all that far from Alaska. I imagined Alaska to have lots of snow. During the summer it looks just like Oregon and is so secluded and wonderful. I hope to make it back some day with my girls. These look like so much fun! I’ve been wanting to go camping for quite some time. I may have to make it happen this year! I’d love to go to Kodiak!! Hiking and camping?! Count me in!! What a waonderful view–Alaska is someplace to visit on my bucket list! I absolutely loved Alaska! It is so gorgeous. The only drawback is that I couldn’t stay there forever. It has long been on our list to drive up the Al-Can highway to Alaska. Not sure when we will make the trip, but with our son moving up there this year I guess it will be sooner rather than later. Thanks for the great ideas of places to go when we get there!